Everywhere I look the wheels are falling off Nick Bole's "Norway then Canada" shtick. There are too many complications, politically and technically for the EEA to be anything approaching temporary. Without looking at agriculture, fish and customs we are still looking at a lengthy accession process which could take two to three years assuming all is smooth sailing, while the introduction of fish and agri measures would have to be phased in. Moreover, it has not secured the confidence of pundits high up the food chain and it's not winning hearts and minds at this end of the game either. Comments on the Daily Express and replies to Steve Baker's tweets are less than generous. It becomes more flaky when the question of customs is raised whereupon Boles, having been told that Efta cannot have a customs union now argues for a bastardised Efta membership so that we can. He is, therefore, arguing for an indeterminate SM+CU Brexit where he is forced to gloss over the cracks - making a poor show of it as he goes. To be even close to a compromise solution it has to attempt to reconcile the red lines of the respective leave camps. The Kipper brigade wants free movement to end and the Tories want to be able to play with trade deals. The remains, though, want full single market participation and frictionless trade. This is a tall order. The problem is that the circle of pundits and Brexitologists are still locked into the narrative that only a permanent EEA and customs union solution will work and that there is no movement on freedom of movement. They won't entertain the idea that there are solutions because they don't want to. It reinforces their message that "Brexit has failed". The Barnier camp is very much thinking along these same lines where by they will facilitate EEA+CU but that's the line they are holding. This is why Boles is of very little use to us and is no ally of the pragmatic soft Brexit case. The intellectual effort should go toward demonstrating that the single market is achievable with controls on freedom of movement without a customs union without the need to activate a backstop and without border infrastructure. It is up to the UK to devise a counter proposal based on existing instruments that the EU can agree to. Since the hard Brxiters are ruling out any form of single market they are not thinking along these lines at all. Number Ten isn't either. Then as Norway then Canada gradually implodes, widely viewed as parking Brexit and an act of "remoaner sabotage" we are pretty much back where we started. I am of the view that between Articles 112 and the obligations within the EEA and Union Customs Code, the EU can be persuaded, not least because from its own literature we can see electronic customs are the direction of travel in any case. If the political will is there and if the UK is suitably pragmatic, we can bash out a compromise. This is where Boles could have been useful, but instead he has gone into a full kamikaze dive into the guns and now he's being shot to pieces. Predictable and predicted. 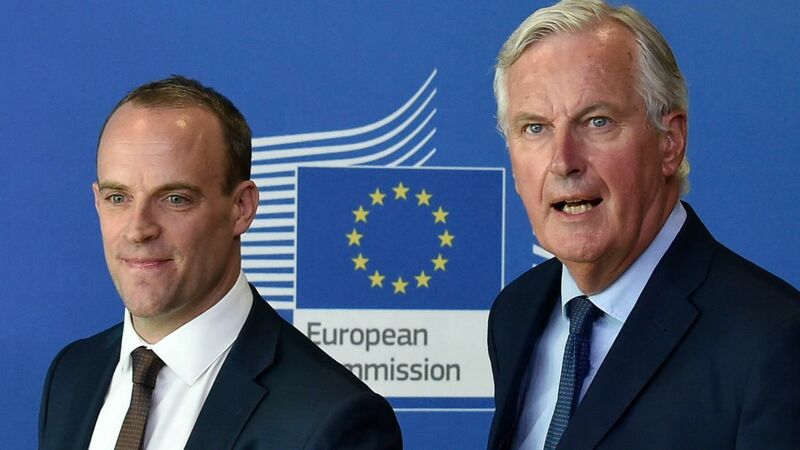 If the UK is to get a workable compromise then it is going to need a plan that is actually deliverable and one that can credibly answer its critics. Something Boles can never do not least when the end point throws the EEA accession into the bin to put us on the wrong side of third country controls. I am told I would stand a better chance of advancing these arguments were I less abrasive but actually their is a general remain insistence that Brexit cannot be allowed to succeed and if there is a deal then it must be one that humiliates Brexiters (a customs union - with no independent trade), while the Brexiters will not entertain any form of EEA for any number of interchangeable reasons. It's not going to matter how emollient my tone. No party, including the EU, is devoted to a face saving, workable compromise for all. 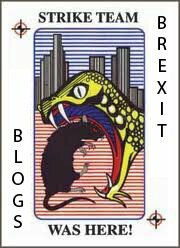 Brexit has become a bitter zero sum game. Much of the problem stems from the the fact that those likely to influence the debate look to opinions with prestige, and for as long as the prestige opinions are bed blockers then we are going nowhere. They serve as a praetorian guard and if there is a breakthrough then any plan has to get through them first. I'm told that it is me who doesn't understand the politics, and there is a clever game afoot which is I am not a party to, which may well be the case, but I still can't get past this idea that if you don't have a workable and viable plan and it doesn't have buy in from at least two of the factions then it's either going to be no deal or a Frankenstein fudge that everybody hates, puts us on an EU leash and ultimately gives us none of the things we want. This requires a certain amount of informed pragmatic leadership and we have nothing even approaching that. More to the point, while the thought leaders are finally in the EEA ballpark there is still a gulf between the thinkers and Number 10 which if anything has regressed in its understanding of the issues and is fighting its own internal battles. Even if a pack of nonentity backbenchers could advance a plan, an indeterminate SM+CU is not something May can pivot to in light of everything she has said up to press. Boles might have provided a momentary distraction and something for us to churn over while we drift further into no-man's land, but we have been here before with Kinnock Junior, Open Europe, IEA and the rest of them. One is simply resigned to the fact that there is no saviour. We are now just waiting to pick up the pieces.